The original, and most popular, water extraction tool on the market. Water Claw is built to last and features an adjustable handle to accommodate different heights, non-slip friction strips to ensure a safe footing and an aerodynamic base plate that removes water at an astonishing rate. 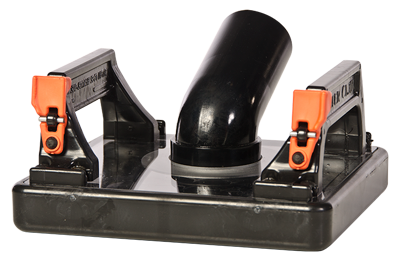 The Water Claw is available in three sizes to fit any type of job. The smaller unit is perfect for the removal of urine and other stains, while the large version is a must for quick water removal on flood jobs. Specially designed bottom plate maximizes suction and water channeling into vacuum chamber. The extraction plate grid and vacuum manifold have been scientifically designed to multiply and enhance your subsurface flood lifting capabilities in the same way a pulley system multiplies and increases weight lifting ability. 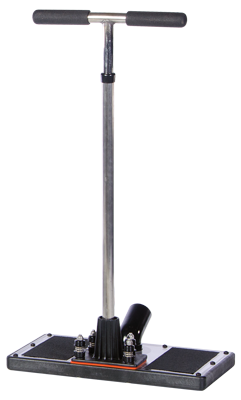 Medium Model Dimensios 10"" 17""
The Water Claw has introduced to the carpet maintenance industry a tool specially designed to extract water out of BOTH the carpet and the pad from the surface! Designed for quick and easy flood extraction in preparation to the final drying process. The Water Claw's speed, performance and profitability in doing most flood jobs without removing carpet and pad has been proven in thousands of flood restorations worldwide. In addition, the Water Claw Flood Extractor can be used to quickly evacuate black water floods allowing you to easily remove and carry out carpet and pad. Specially designed bottom plate maximizes suction and water channeling into vacuum chamber. The extraction plate grid and vacuum manifold have been scientifically designed to multiply and enhance your subsurface flood lifting capabilities in the same way a pulley system multiplies and increases weight-lifting ability. Large Model Dimensions - 12" x 21"
If you are looking for a way to effectively remove more spots and stains and eliminate spotting wick-back, the Water Claw FlashSpotter will transform the way you deal with problem spots and spills. 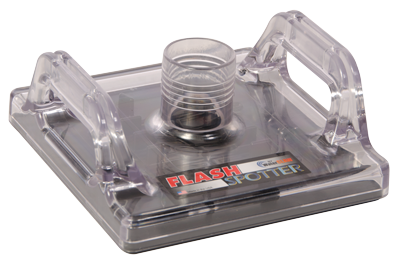 The FlashSpotter is ideal for dealing with pet urine, large liquid spills, soap residues, food spills and more. It allows for sub-surface extraction from the carpet pad up, allowing you to use greater quantities of your favorite spotter or pet odor solution when required to rectify the problem area. Leaves Up to 35% Less Water Behind Compared With Competitive Tools! If you are looking for a way to effectively remove more spots and stains and eliminate spotting wick-back, the Water Claw Flash Spotter will transform the way you deal with problem spots and spills. The Flash Spotter will help you effectively extract the spilled solution from the carpet, backing, and the pad. The Flash Spotter is ideal for dealing with pet urine, large liquid spills, soap residues, food spills and more. It allows for sub-surface extraction from the carpet pad up, which allows you to use greater quantities of your favorite spotter or pet odor solution. It allows you to take complete advantage of powder oxidizing pet odor and stain treatments. The Flash Spotter has several significant improvements over previous models of spot removal tools. It has no moving parts and no need for a vacuum relief valve. It can be easily disassembled for cleaning. Laboratory tests demonstrate that it removes and extracts more water. Its more durable design provides a one year comprehensive replacement warranty. You can reduce or eliminate "profit-sucking" job callbacks because stains that previously mysteriously reappeared are more effectively removed with the Flash Spotter. The Flash Spotter can be used with a truck mount or portable extractor, as well as spotting mini-extractors. The Water Claw Spot Lifter offers results never before seen for the complete removal of spills and odors in carpet, carpet backing and the pad. Ideal for pet urine (or on large spills of any kind such as soda pop, soap residues, food spills, etc. ), simply use large volumes of your favorite pet odor treatment and then completely flush out the chemical along with the contaminant from the carpet and the pad, without disengaging the carpet! A Spotting Revolution Has Begun! If the problem is in the carpet backing or the pad, then the solution is the Water Claw Sub-Surface Spot Lifter. Flush out urine contamination, soda pop, oils, soap residues, food spills, etc., completely. Use with a truckmount, portable, or mini-extractor. Accepts 1.5" or 2" hose cuffs. The FlashXtractor is proven to remove up to 35% more water than competitive tools in controlled tests. The simple design, spring loaded handle and light weight reduces operator fatigue. 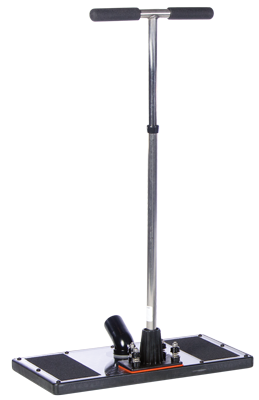 The telescoping handle makes it ideal for a person of any height. The faster you remove water from carpet and pad the faster you can dry. The FlashXtractor ™ Subsurface Water Extraction Tool is so efficient and easy to use you will wonder why you ever bothered using other tools. 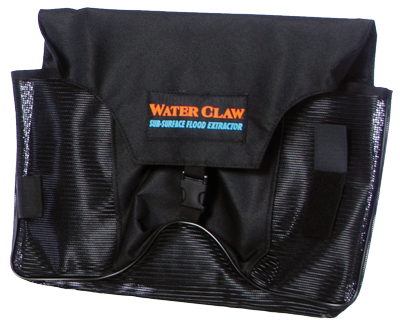 This bag is a must-have for your water claw. The mesh sides and bottom allow for easy drainage. 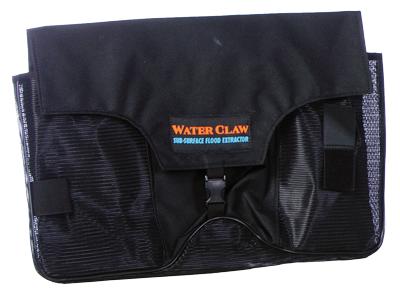 The reinforced handle makes it easy to carry your Water Claw to and from the job site. Directions and precautions for using the Water Claw are printed on the back of the bag.